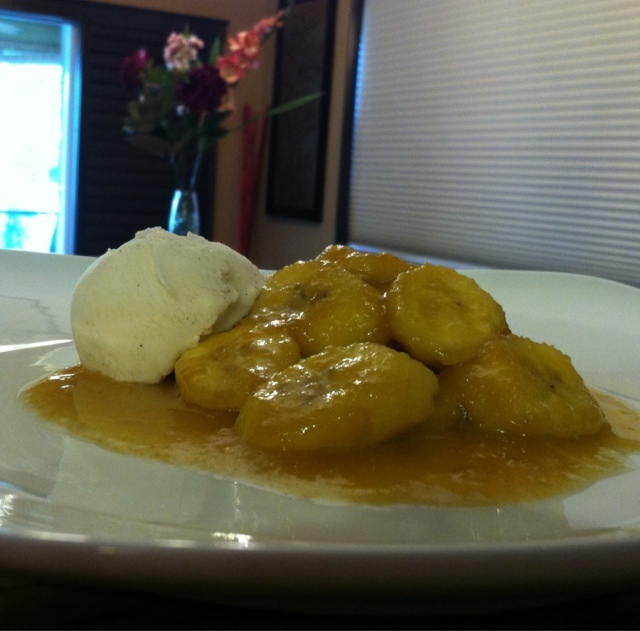 The simple yet elegant flavors of this dessert are what makes it a crowd pleaser! Coconut Ciroc 1 shot -reserve until presentation; you can carefully light on fire (use caution as flame goes up quickly). Heat Coconut Oil in large stainless steel pan on Medium-High heat. 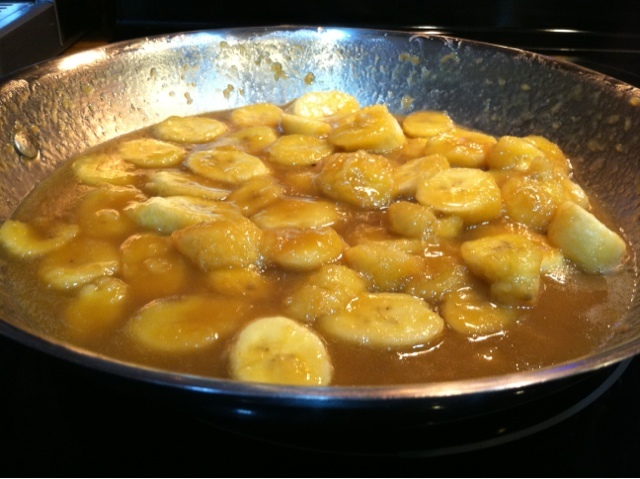 Add all remaining ingredients carful not to man-handle Bananas too much as they will smash and break apart. Allow to simmer but only 3-4 minutes until sauce is thick, sticky (yummy), and dark brown caramel. Add shot of Ciroc if desired and light on fire carefully (make sure you have taken all precautions). Unfortunately, I was unable to capture the flame in my picture by myself without burning down the house! I served with So Delicious vanilla coconut milk non-dairy frozen dessert (tastes like ice cream).